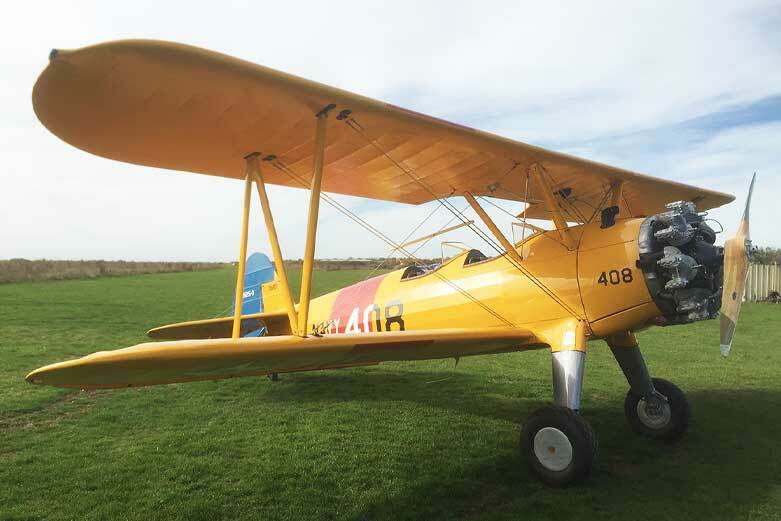 Vintage Flights Over Oxfordshire in Boeing Stearman - Air Freedom. Air Freedom, where Power plus Attitude equals Performance! 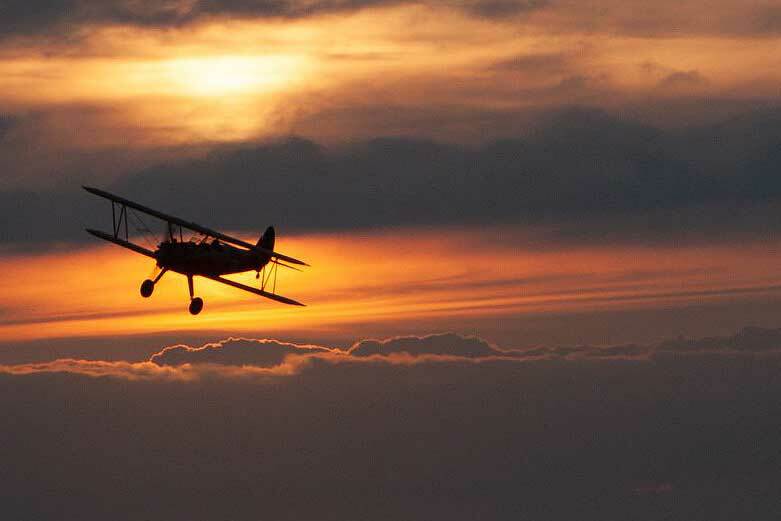 Our flying season is May to September. Our flight times are airborne times! You do not pay for time manoeuvring on the ground.. This promotion is open all year round for past and present Military Personnel. Email us your Military ID and we will set it up as a Discount Code for you to input during the purchasing process. Then simply bring your ID with you on the day of your flight for verification. 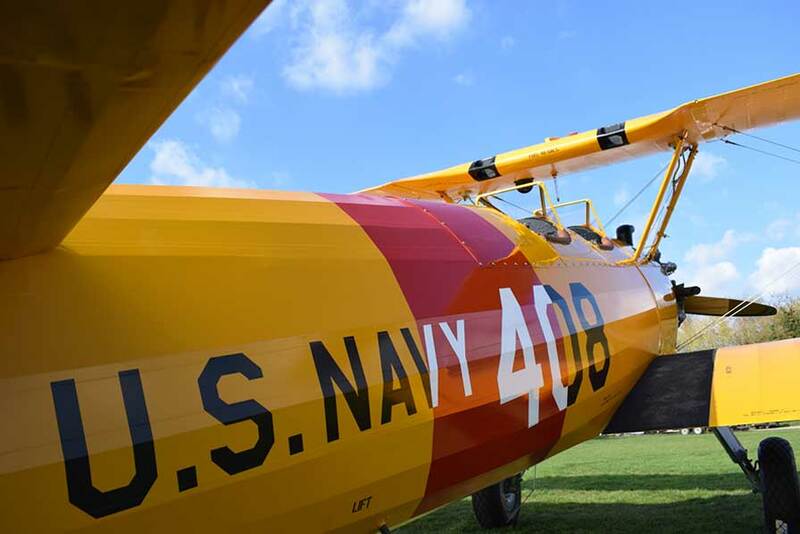 Air Freedom, located 17 miles from the historic town of Oxford, offers you a unique and breath-taking opportunity to experience the flight of a lifetime in a beautifully restored 1941 US Navy Training Aircraft, the distinguished Boeing Stearman. Your flight time is literally “flight time” from lift off to touch down rather than “chock-to-chock”. You are not paying for the time spent manoeuvring on the ground before take-off and after landing. The time you pay for is entirely in the air. After a friendly reception, we will kit you out with a leather flying jacket, helmet and goggles and provide a thorough safety briefing before walking you out to the aircraft for a fantastic photo opportunity with family and friends. A fully qualified flying instructor will explain the controls so you can have the opportunity to actually fly the aircraft and complete that amazing hands on experience. 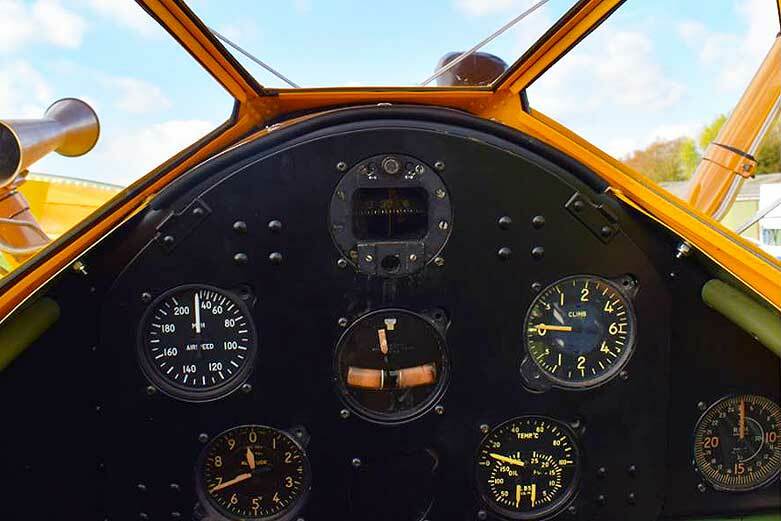 Then imagine the thoughts of the very young Pilots, who were training for war as you climb aboard, strap in and soak up the essence of this classic Warbird. Hear and smell her powerful radial engine fire into action before you lift off and experience the thrill and the freedom of flying in an open cockpit, thankfully in the now peaceful skies over Oxfordshire. At the end of your flight, you will be presented with a certificate signed by the Pilot to commemorate your flight. You will also have the opportunity to purchase a movie of your flight so you can share that fabulous memory with all your friends and family. We are also proud to celebrate the men, women and flying machines from all services and nations who have defended our freedom across the globe since the dawn of flight. This promotion is open until the 31st of May for everybody. Complete the form below and receive your Discount Code to input during the purchasing process. You will receive an email back with full instructions on what to do next. Subscribe to our mailing list to get your 15% Spring Discount Code. “You can buy and book your flight now or you can buy a voucher to redeem and book your flight at a later date." Experience the flight of a lifetime! 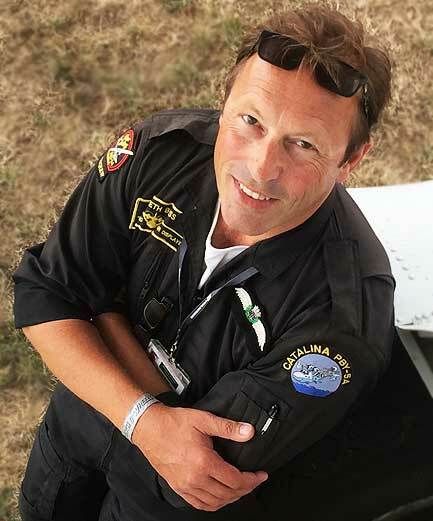 Gareth first flew solo at age 16 in a Venture powered glider in the Air Training Corp quickly followed by a Royal Air Force Flying Scholarship that lead to his PPL at age 17. He was subsequently selected by the Royal Navy Fleet Air Arm for a short-term commission to train as a Naval Pilot. His military career was terminated by a knee injury before training commenced. His personal mission is to Fly Navy and to share that amazing experience with as many people as possible.